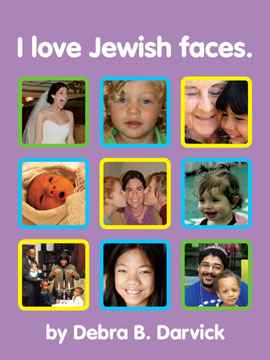 Jews come in every shape, size, and color. With this delightful new book from Debra Darvick, children will learn that no matter what they look like or where they are from, they are part of the Jewish family. 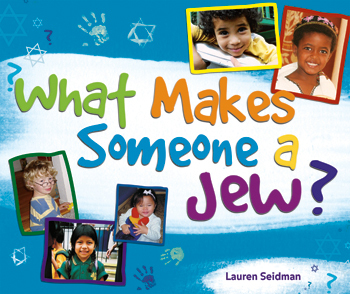 Featuring full-color photographs showing the diversity of the Jewish community, this book is ideal for families, early childhood centers, and outreach programs. For ages 5 and under. What Makes Some A Jew? Is being Jewish a matter of how you look, or how you live? Using everyday examples that children can relate to, this colorful book helps all young Jewish readers understand what it really means to be a Jew. A vibrant and fun way for children to develop a broader knowledge of Judaism and the Jewish People, this book gently guides children down their own path of Jewish spiritual discovery … and reminds us all that being Jewish is about our deeds, thoughts, and heart. For ages 6 and under. 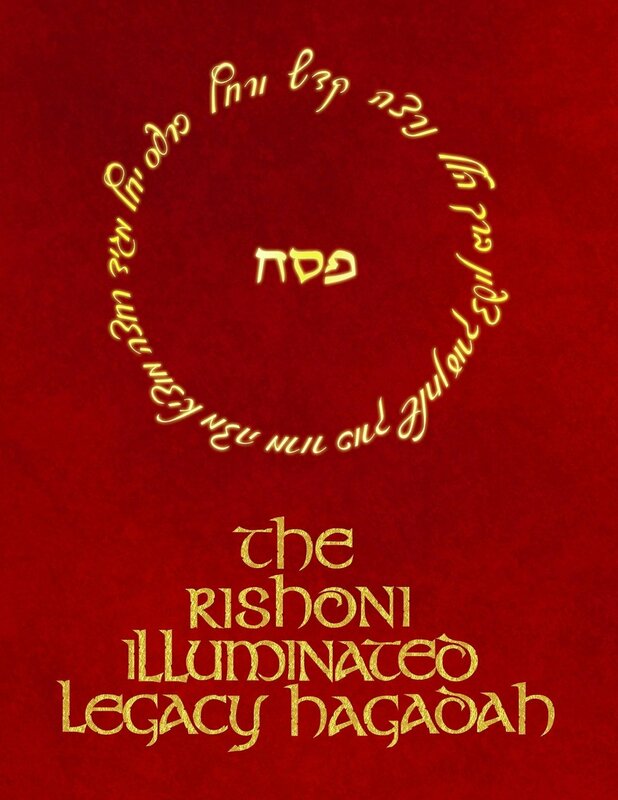 With this entry into the landscape of American Judaism, writer and speaker MaNishtana welcomes you to the Passover Seder with this new Hebrew/English take on the ancient ritual. Accompanying the traditional Haggadah text are selected traditional laws surrounding the Seder night, over 100 mindblowing original illustrations, and footnotes of fresh commentary, both traditional takes inspired by classic Rabbinical sources, and original musings from one of The Jewish Week’s 36 under 36 of 2014, the author himself. 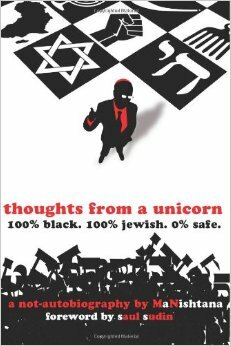 In his newest book, MaNishtana (author of Thoughts From A Unicorn: 100% Black.100% Jewish. 0% Safe.) 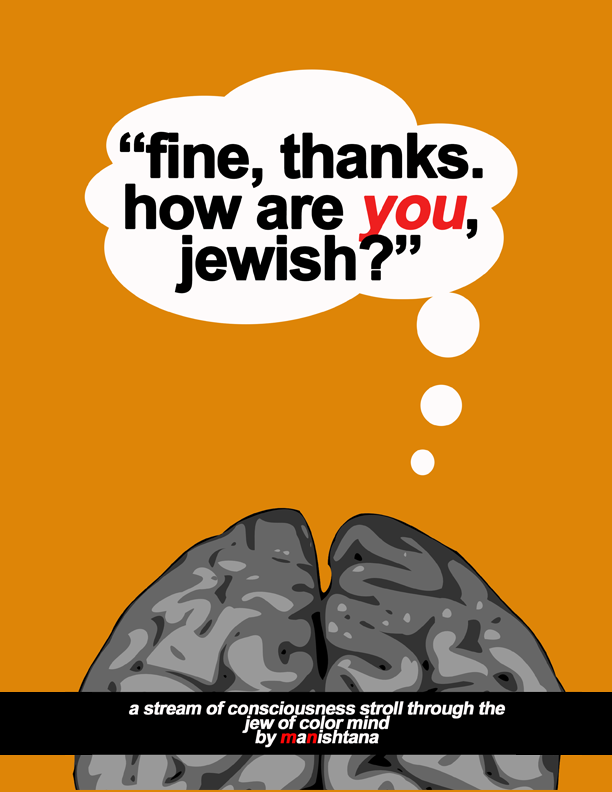 charts a frank journey through the mind of Jews of Color of various stripes and shades as they wade through the sometimes hilarious, sometimes infuriating, and occasionally neurotic slog of their daily lives. And your coffee table will never be safe again. African-American and Orthodox Jewish blogger MaNishtana’s “not-autobiography” Thoughts from a Unicorn is a witty, straight-talking collection of memoirs, essays, and a few haikus that will take you on a journey of laughs, tears, self-reflection, learning, and peanut butter & jelly sandwiches. Full of insight, reflections on personal experiences, fond memories and honest regrets, this book will have you reaching for the tissue box sitting next to the pen and notepad you’ll want to keep on hand just to remember more than a few points. As any reader of his blog, MaNishtana’s Musings (www.manishtanasmusings.com), knows, his sharp humor cuts straight to the core of a matter. You’ll never be left guessing, but maybe wondering, at the end of each chapter. her work experience at a synagogue. 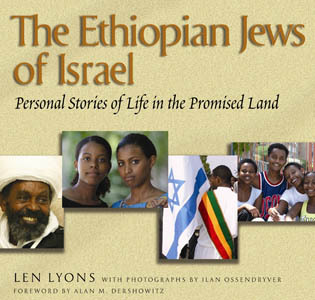 The first book to recount in captivating photographs and candid interviews the profound challenges and inspiring accomplishments of Ethiopian Jews struggling to become Ethiopian Israelis. Story of granddaughter of African-American sharecroppers, and a former Christian minister, now a Torah-observant Jew living in Jerusalem. A path-breaking study by a noted sociologist of the immediate and continuing impact of race and adoption in our society. Katz Rothman draws on her own experience as a white mother of an adopted black child. A Jewish woman married to an African American non-Jewish man, describes her experience of raising her sons and her encounter with the reality of racism in the U.S. Examines how adult children of interracial parents (Jewish and Black) think about personal identity. 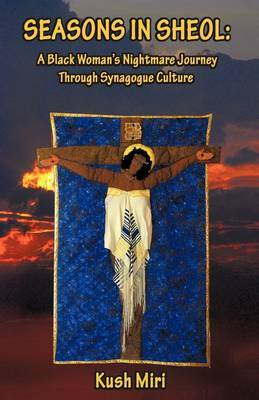 Blends historical, theoretical and personal perspectives to explore possibilities and meanings when Black and Jewish merge. A memoir written by the daughter of an African American mother and an Ashkenazi Jewish father who was born during the civil rights era of the 1960s. Stories of biracial adults, written by a biracial Jewish woman (Ashkenazi Jewish and African American). Written with passion, honesty, humor, and love, Jewish author Amy Shore describes the ups and downs of adopting a child from Guatemala. From hope to heartache, anger and determination, the will to believe when all else fails, bureaucratic red tape, an interesting cast of international characters, and the agony of the wait – come along on this incredible, heartwarming journey to meet Lucinda. Explores the meanings of cultural memory within the two longest surviving civilizations on earth. Depicts the theological challenges a Jew is confronted with in dating a Chinese woman, and how this experience leads them both to become Torah-observant. The story of James McBride’s mother, a Polish Jew and daughter of a rabbi, who moved to New York city, and met and married a black man (McBride’s father). The book is a testament to one woman’s true heart, solid values, and indomitable will. A resource guide for interracial families of all kinds, written by a single Jewish mother whose adopted daughter was born in China. A novel about a white Jewish woman who looses custody of her biracial baby. A reunion occurs when the daughter reaches adulthood. In Every Tongue is a groundbreaking look at the changing faces of the Jewish people and implications for the world Jewish community. Shapiro and his colleagues detail their analysis to reveal that Jews were not only present in Kaifeng, known as Bianjing in the Song Dynasty, but that they lived in large numbers in other Chinese cities as well. This autobiographical chronicle of Julius Lester’s Jewish journey is a meaningful addition to the body of scholarship on conversion. It also offers opportunity for reflections on Black/Jewish relations in the U.S. This uproariously funny satire about relations between African Americans and Jews is as fresh and outrageous today as when it was first published in 1974.Born to a Jewish father and black mother who divorce before she is two, Oreo grows up in Philadelphia with her maternal grandparents while her mother tours with a theatrical troupe. A White Jewish adoptive mother describes the experience of adopting a child of color. This study of eighteen adults of African-American and Jewish-American heritage explores how biracial subjects of two minority parents negotiates mixed race heritage and identity in a society that maintains a hostile attitude toward interracial unions. Newly released personal and political essays by over a dozen Jewish women, edited by an American woman of Iraqi Jewish descent. Contemporary anti-Semitism and other pressures; with an appendix on combating anti-Semitism by Milton Ellerin. Helps to understand the commonalities between the oppression of African Jews and the oppression of Asian Jews. Also provides statistics from 1980’s on numbers of Jews in shrinking North African and other communities. 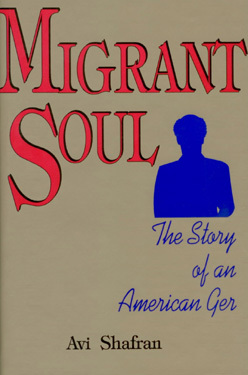 An interdisciplinary effort by Chinese, Japanese, Middle Eastern, and Western sinologists and Judaic studies specialists, this book scrutinizes patterns of migration, acculturation, assimilation, and economic activity of successive waves of Jewish arrivals in China from approximately 1100 to 1949. Featuring the works of over fifty poets, essayists, storytellers, and songwriters. A tribute to Jewish diversity by Sephardi, Ashkenazi, Mizrahi, African and Asian writers. Book list compiled 2003-2016 by Shirley Gindler-Price aka MochaJuden.